Moderate 15-20 mmHg. 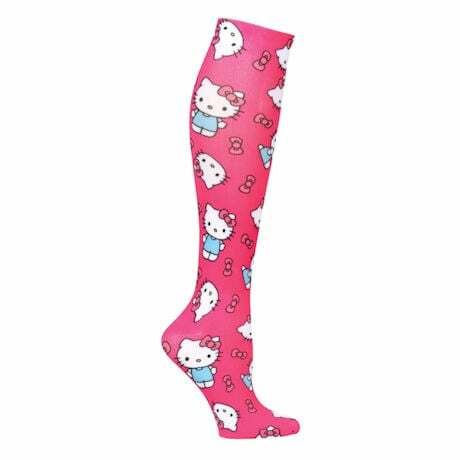 Who doesn't love Hello Kitty®? 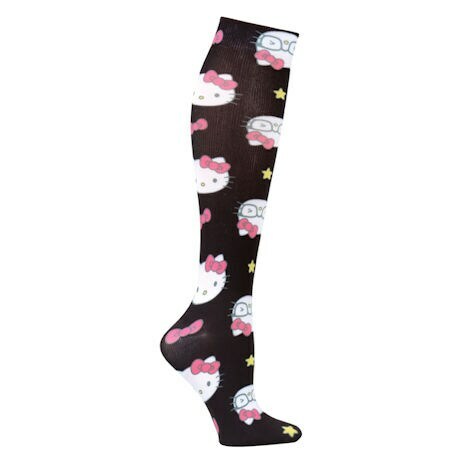 Knit design compression knee highs with all-over Hello Kitty® designs. Fully fashioned heels prevent spinning and balloon toes for freedom of movement in shoes. Designs for nurses, who are on their feet all day or night, and need compression to keep going. 87% Nylon & 13% Spandex. Regular calf up to 17".